Wanna see how I'm styling Gingham? Carry on reading. I'll be honest, gingham is a trend I thought I could never get on board with. Now though there's SO many different gingham prints and ways to wear the print, I'm open to experimenting with it a little more. It's safe to say I went pretty loud with my first Gingham look, & I absolutely love it. Tying in Gingham with a more grungy combination is something I wasn't planning on doing, but I think it works pretty well! 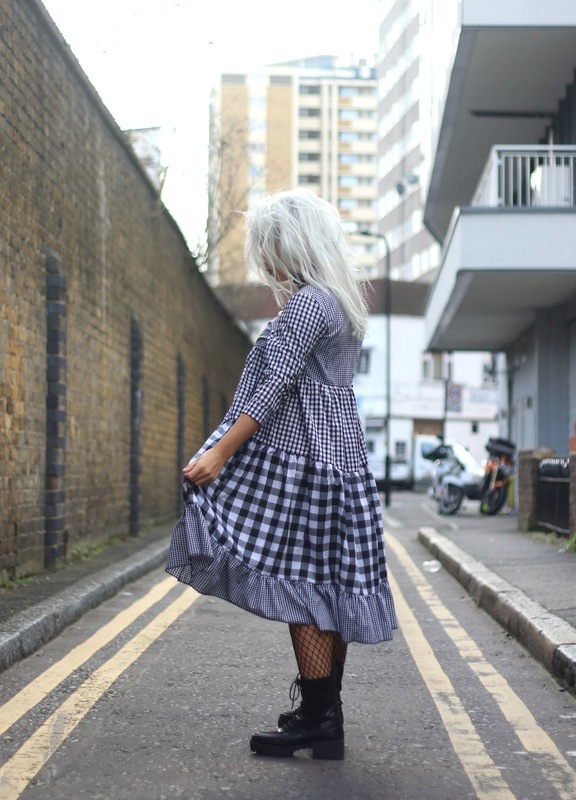 I loved teaming this dress with my favourite fishnets and chunky comfortable boots. Teaming a popular print in with my every day favourites is a must for me! I love making the print work as part of my every day, so I don't ever feel uncomfortable. This dress is stocked on ASOS by Milk It Vintage. They've had some killer pieces over the last few years which I've absolutely loved. This light weight and floaty dress is perfect for the spring season, I'm hoping I won't need to wear a roll neck with it the next time though! LOOOOVE this dress! The way you have styled it reminds me of a Victorian school girl haha - I know that sounds really random but it is a compliment! 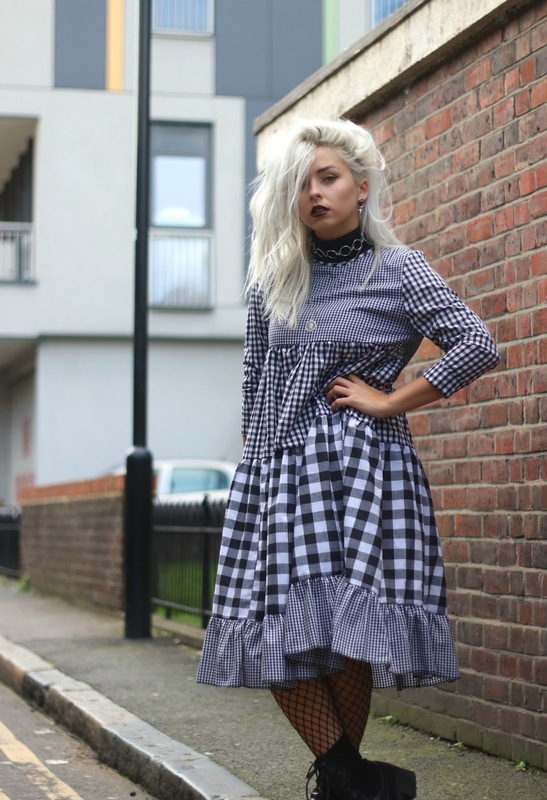 This is actually such s cute dress, the fact you added such a nice grungy look to your outfit is such a nice difference to see in the blogosphere! This is such a cute dress, I absolutely love it! OMG i love this dress and the way you've style it is just fab.